I know that teenagers can get a bad rap sometimes for being too self-involved with their head stuck in their phones, but this story proves otherwise. 18-year-old David Gullette, from Philadelphia, was recently honored for saving two little children from a house fire. Well, David spotted his neighbor’s house on fire, and he ran to the home, knocking on the door yelling fire… He then proceeded to run in and grab two little boys – a 4-year-old and a 5-year-old – out of the house and took them to safety. Philadelphia’s Deputy Chief Charles Johnson presented David with a special hero’s award for saving those two children. Chief Johnson added that he was encouraged by David’s good deeds and his sense of community. David has now taken on the role of spreading the message throughout his area about how important smoke alarms are and is even thinking about a career as a fireman. David Gullette – nice job and what a way to act fast!!! All the neighbors are safe and sound. 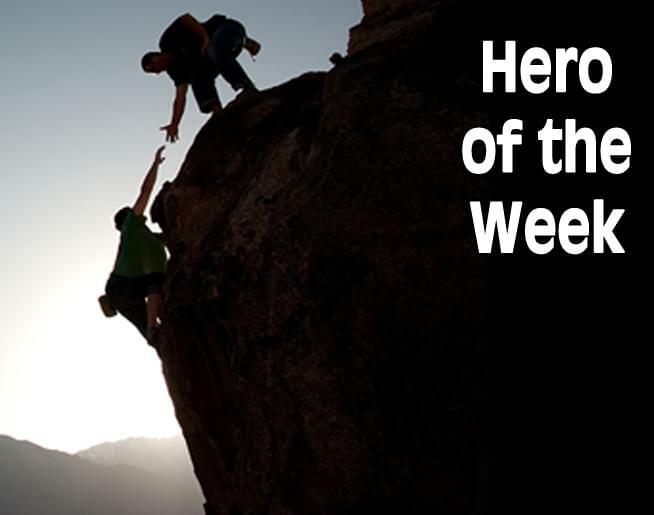 We’d like to honor David as our Hero of the Week.